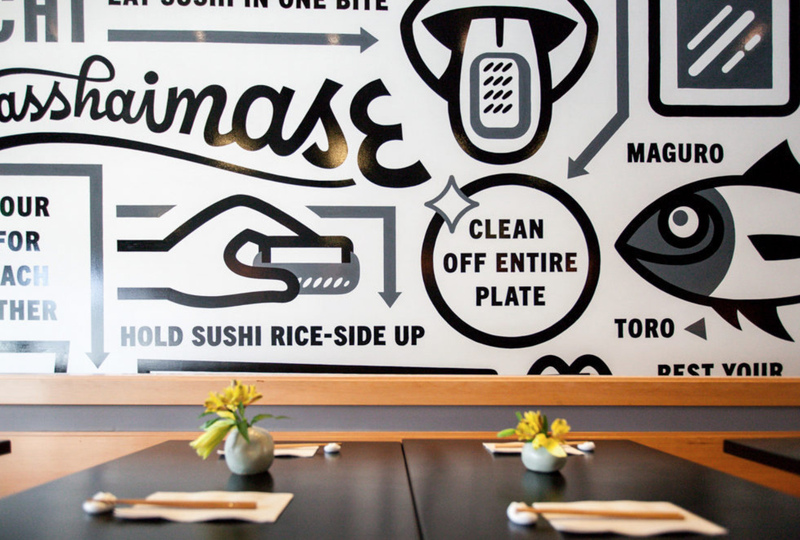 ICHI Sushi of Bernal Heights in San Francisco is one of a kind. 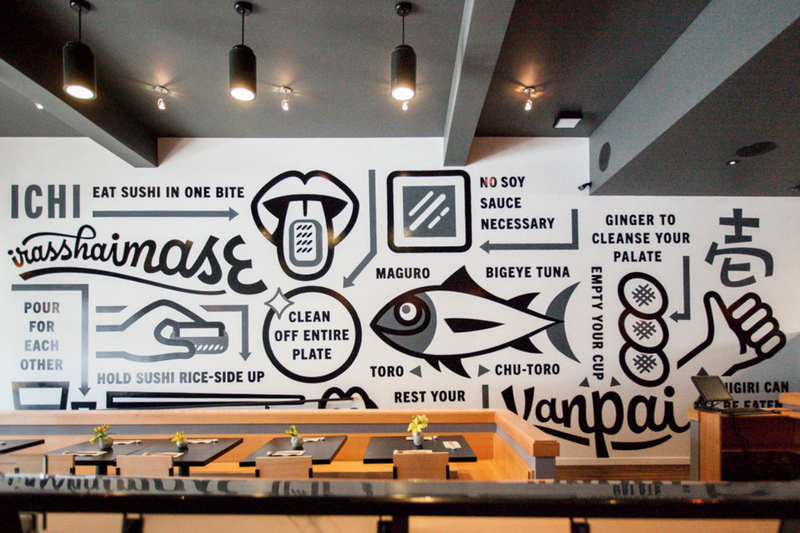 For their new larger location I designed a large mural that depicts the best way to consume your sushi while at ICHI. 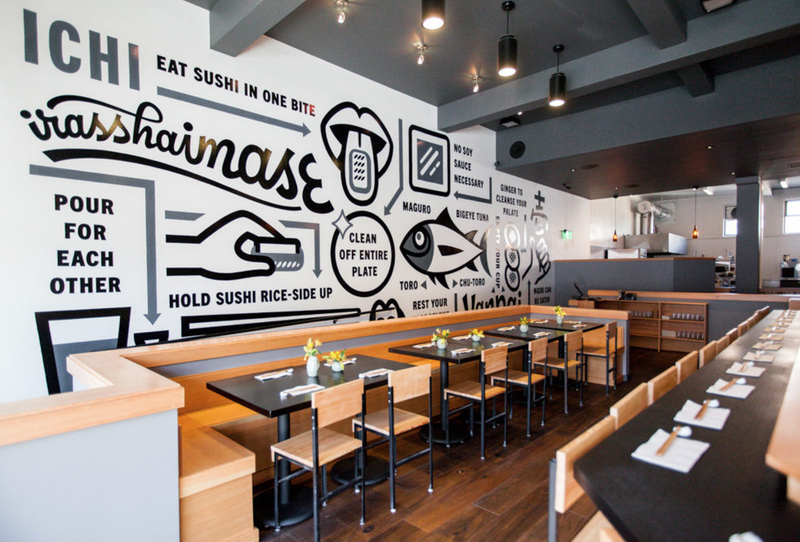 Mural installation by New Bohemia Signs and photographs by Patricia Chang.